ISLAMABAD, May 13 (APP):The Embassy of Pakistan is taking multiple steps to promote Urdu language learning in France specially for second generation Pakistani students to ensure that they remain connected with their Pakistani heritage, culture and language. This was stated by the Ambassador of Pakistan to France Moin ul Haque, while addressing a graduation ceremony of 250 students enrolled under learning and capacity building program of a French non-government organization named, “Together for Human Development (EPDH)”, as a chief guest on Sunday. The annual event was attended by Mr. Jean-Louis MARSAC, Mayor of Villiers-le-Bel, France officials, students, parents and journalists, said a press release received here from embassy of France. The ambassador also deeply appreciated Ms. Naghmana Kayani, a French national of Pakistan origin and founder of the EPDH for her humanitarian and social work especially for the economically and socially challenged students. The ambassador also called upon EPDH to consider starting Urdu learning classes for French nationals specially targeting the second-generation Pakistan students. 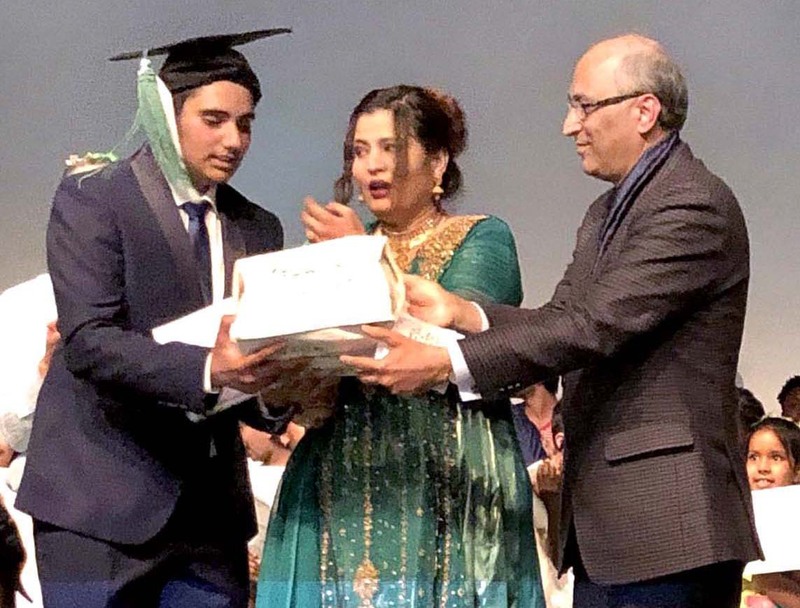 Later, the ambassador gave away the prizes to the high achievers, amongst which a student of Pakistan origin won the best student of the year award. Since its establishment in 2005, the EPDH has helped thousands of low performing students by giving them academic support from kindergarten to high school and encouraging them to realize their full potential by employing various sophisticated educational and social tools.